Welcome to Fort Thomas Family Dentistry! Dr. Masoud Hekmatyar and his staff at Fort Thomas Family Dentistry are committed to providing quality family dental care in a relaxed environment. 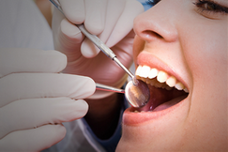 We provide a complete range of dental services including cosmetic dentistry to fit your family’s dental needs. Our state of the art equipment combined with the knowledge and experience of our friendly team in the art of dentistry will provide you with the quality of dental care you deserve. We welcome you to visit our new office conveniently located in Fort Thomas, Kentucky where you can relax in a private room while enjoying television or WIFI during your treatment. Along with his talented team, Dr. Hekmatyar will create a treatment plan based on your individual dental needs. Our goal is to help each patient receive a beautiful smile in a comfortable setting while ensuring years of optimal oral health. 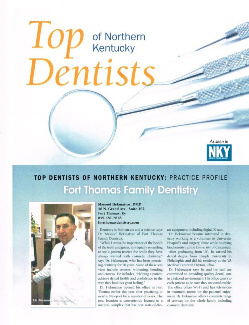 Dr. Hekmatyar is listed in Cincinnati Magazine and Northern Kentucky Magazine as a Top Dentist in America. Print and fill out this form and bring it to your appointment.